This book is the first in series by Elaine Claton Harpine. Twenty-one Christian ornaments for your Christmas tree. 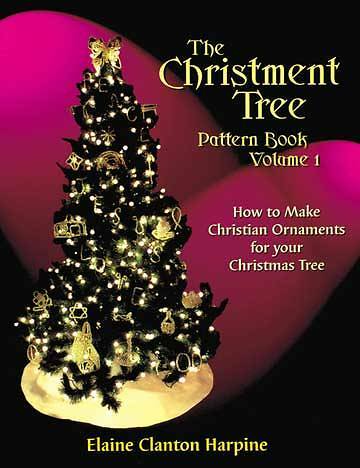 A pattern book which illustrates how to construct these beautiful religious ornaments for your tree at home. This book shows how to make twenty-one different Christments with a supply list, bead counts, a designated difficulty level, a construction diagram, and a photo of the finished product provided for each Christment. Don't forget to pick up Volume 2 and Volume 3, if you don't already have them.